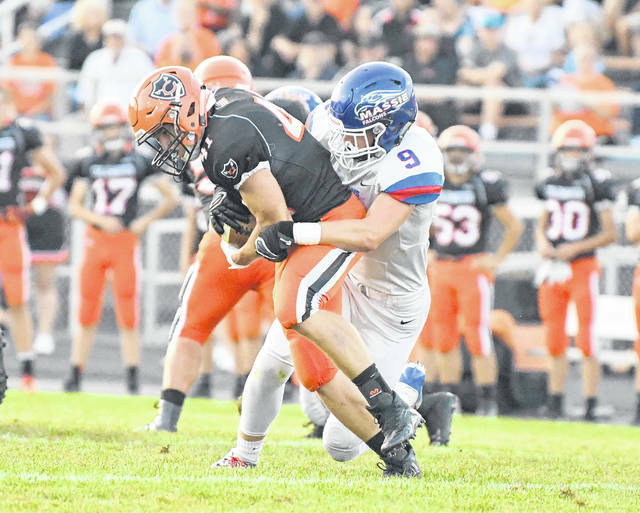 Clinton-Massie’s Thomas Myers (right) brings down a Coldwater ball carrier in the first half of Friday’s game at CHS. The Cavaliers led the Falcons 21-14 when the game was delayed by lightning with 11:02 to play in the fourth quarter. As this page went to presstime, the game had not resumed. See SPORTS Page 10 for more details.